June Cleaver, Mrs. H. and all the other traditional Stay At Home Moms are a feature of a cherished past that no longer exists. Cookie baking, apron wearing, always-in-the-kitchen moms have nearly disappeared in most parts of the country. This is good news for women who want to continue to pursue careers and take on jobs in fields that were once forbidden to their gender. But, despite the changes in social norms some women are still staying at home to raise their kids. In the late 1960’s nearly 50% of mothers stayed home while their husbands supported the family. By 1999 that number had fallen to 23% but the trend is making a bit of a comeback. Most women work during their pregnancy then they take a little time off after giving birth. Some women return to work immediately, others take some time with their newborn then ease back into the flow of their careers but a growing number of women stay at home as full time moms. Currently about 70% of moms leave the house to work while nearly 30% are staying home. Staying home can be a mixed bag of good and bad news for moms. We still call them Stay At Home Moms but the lifestyle has changed. Electronics and modern conveniences are useful in many ways but structured playtime and ideas about early socialization put more pressure on moms to provide transportation, education and plenty of stimulation for our children. In some ways motherhood is more demanding and yet, society does not seem to value the traditional mom as it once did. This can be hard on our sense of self worth and force us to look for ways to find some sort of validation and approval. Even so, the constantly changing ideas about what makes a great mom can allow us to reinvent our own identity and carve new traditions. If we can trust ourselves to make the right choices we can create our own personal style of motherhood instead of trying to meet expectations that were once set in stone. As is true of most situations in life, there are advantages and disadvantages to staying at home with kids. Some women choose to stay home and are able to do so because their financial situation is secure. Others stay home not by choice but because their careers cannot accommodate the demands of motherhood or, more often the job doesn’t pay well enough to cover the cost of childcare. While it might seem that having enough money to have the luxury of staying home with the kids would make for a more enjoyable experience this isn’t really the case. Rich or poor Stay At Home Moms experience isolation and feel undervalued in equal measure. Likewise, economic status doesn’t enhance or diminish the joy of being around when babies take their first steps or utter their first words. Wherever we live, whatever our credit rating, there are good and bad things about staying home and a variety of ways to handle them. And just as soon as you’ve got it under control, all of it will change. Whether you’re home with an infant or a talkative 6 year old your days are not entirely your own. Cooking and cleaning are still part of the routine but most moms are too busy to bake pies and chat over the back fence with neighbors. In fact, there’s a good chance that the neighbors are at work most of the day. A lot of our friends are the people we work with; women who are childless; or ladies who are still single. This fact alone can lead to feeling isolated, as though she’s not really participating in life itself. We stay busy, sometimes overwhelmingly so with diapers, shopping and trying to stay organized. This can keep us from reaching out to friends or from forming new relationships. Caring for an infant can be a fulltime job, routine can be boring and exhausting and, eventually, the social skills get rusty. Calling friends for a chat just doesn’t seem natural anymore. Leaving the house can feel like a daunting task with diaper bags and snacks to pack, car seats and parking spots adding a degree of difficulty. When it starts to appear as though going out isn’t worth the effort, this is probably when we need it most. The habit of hanging around the house and accepting isolation is one of the big downsides to being a Stay At Home Mom. On the other hand, being unemployed means that there is no “boss”, no one to tell you how to organize your time. The only deadlines you have to accept are the ones you set for yourself and the ones that nature imposes on your bundle of joy. Diapers need to be changed and food must be served but once a routine is under control with naps and feedings on a reliable schedule, good time management can provide the luxury of an uninterrupted midday bath. Mom can also catch up on social media and see what the rest of the world is up to. June Cleaver didn’t have a Facebook account that allowed her to view a friend’s vacation photos or graduations, reunions and birthdays. Since there is no superior to please, we don’t have to be in the office a certain number of hours every day or any day. If the phone rings we can let voice mail pick it up if we want. Our days are our own to use as we see fit. Time is now a commodity we can spend to enrich ourselves, and our loved ones in new ways. Stay At Home Moms form groups to enjoy activities like walking with strollers or doing simple exercises while the kids play together on playground equipment. Kids and Moms get the benefit of both socialization and fresh air. That is something we almost never get in one package in a work situation. When the weather won’t cooperate there are mommy/baby yoga classes and some gyms provide childcare allowing mom an hour for aerobics, swimming or dance. It is important to note that we rarely laugh alone. Laughter is good for a body and good for your mood. Joining a group that provides good conversation and some laughter can make the hassle of leaving the house well worth the effort. 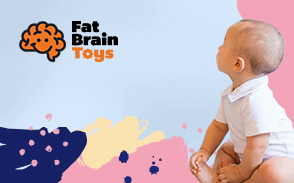 We all know it’s important to read to children and it’s never too soon to introduce educational toys and activities. This can become an overwhelming chore for the Stay At Home Mom. Educational videos are great and we want our kids to enjoy the nursery rhymes and songs they like to learn but these can be foreign and unpleasant sounds to a woman who once spent all of her time in the adult world. Paying constant attention to baby’s frame of mind or answering a toddler’s endless stream of questions can also make us crazy. The phenomenon known as Mommy Brain is largely considered a result of hormonal changes but it’s possible that spending all your time talking to kids could have an effect on conversational skills as well. Keeping our speech on a level that is appropriate for kids, focusing on subjects that interest children and limiting vocabulary to single syllable words is great for the little ones but it might discourage interests in and discussions about more sophisticated subjects when the opportunity arises. It’s not her intelligence that is diminished but mom’s capacity for switching gears that may be slowed down by these mental habits, too. Where handling a job and household were tiring it seems impossible that staying home without a job could be more than we could handle. The fact is that there is a lot more to do but once self-doubt creeps in it’s a constant fight to keep from feeling as though we are sinking into quicksand and, on really bad days, it can seem like it is closing in over our heads. The good news is that there are alternatives to doing all of this alone. Since we’re not tied to someone else’s timetable we can shift the burden of “baby talk” and early educational efforts to that famous village that is helping us raise the child. Most libraries offer story time or a sing along at set hours during the week. While the kids enjoy themselves we can read a magazine or plug in the ear buds and listen to a book on tape. Stay At Home Moms also have the advantage of exploring new interests and learning new skills. Without risking too much time or money we can spend some time between household chores at the library or doing some online learning. There are new technologies to explore or mastering new computer programs. Even if we used them at work there may be new ways to use them that we hadn’t really thought about. Being a Stay At Home Mom can introduce us to new interests, to trying labor saving devices and even new ways to manage finances. Some women discover they have a knack for fixing electronics or crafting. Some find a new fascination and work some time into the schedule to develop new skills or revive old ones. Inviting other moms to participate in big projects can lead to even greater benefits. Sharing babysitting duties and carpooling or swapping baby clothes, tips on preschools or home schooling techniques. The more we share, the easier it gets. Being a Stay At Home Mom can require a reduction in household spending. This puts pressure on everyone and sometimes leads to tension between partners. It’s true in relationships with or without children involved but women can be particularly sensitive about feeling inadequate when they aren’t contributing to the family coffers. 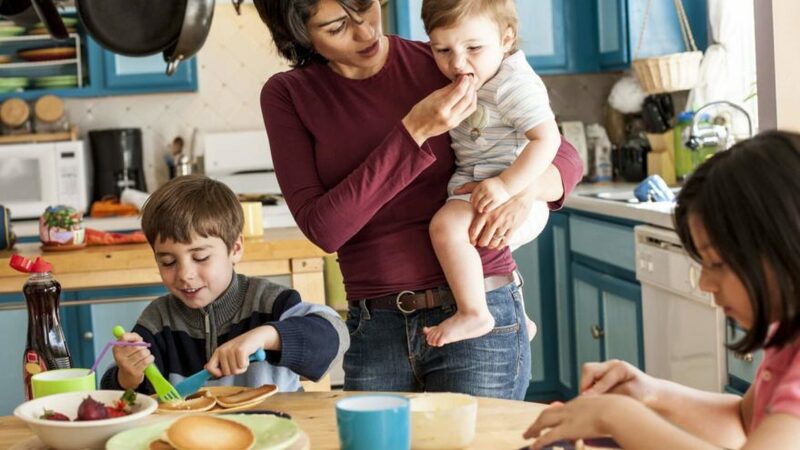 As the partner making most of the household purchases and being responsible for sticking to the family budget, mom is often more aware of the daily expenses and bears most of the worry. Where once discretionary spending was a personal choice now it requires a lot of planning and cooperation with a partner who is less aware of the financial situation. Arguments may ensue and this too is a source of new and additional stress. Occasionally the Stay At Home Mom situation gives rise to new business opportunities. Many of the newest successful entrepreneurs are Moms who recognized a need and found a lucrative way to fill it. Sometimes a product is developed by necessity and the kinks are worked out right there in the kitchen or workshop of the Stay At Home Mom’s own home. While we might make our own prototypes we often simply rework a familiar device to do something new. If we are lucky enough to come up with a product worthy of manufacturing other mom friends can play a part in getting the word out without expensive advertising. If things take off and a new career seems to be a possibility, the trendy new Co-Working Spaces are often female friendly environments. They offer seminars, classes, childcare on premises and attractive workspaces. This is an affordable option rather than renting an entire office. There are day rates for renting desks and great conference rooms for product presentation or group meetings. Instead of having a boss, the future for the Stay At Home Mom might be becoming the boss.